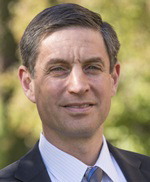 Michael Greenstone is the Milton Friedman Professor of Economics and Director of the interdisciplinary Energy Policy Institute at the University of Chicago. His other current positions and affiliations include Elected Member of the American Academy of Arts and Sciences, Editor of the Journal of Political Economy, Faculty Director of the E2e Project, Head of the JPAL Environment and Energy Program, co‐Director of the International Growth Centre’s Energy Research Programme, and Nonresident Senior Fellow in Economic Studies at the Brookings Institution. Prior to rejoining the faculty at Chicago, Professor Greenstone was the 3M Professor of Environmental Economics at MIT. Greenstone’s research estimates the costs and benefits of environmental quality and society's energy choices. He has worked extensively on the Clean Air Act and examined its impacts on air quality, manufacturing activity, housing prices, and human health to assess its benefits and costs. He is currently engaged in large‐scale projects to estimate the economic costs of climate change and to identify efficient approaches to mitigating these costs. His research is increasingly focused on developing countries. This work includes an influential paper that demonstrated that high levels of particulates air pollution from coal combustion are causing the 500 million residents of Northern China to lose more than 2.5 billion years of life expectancy. He is also engaged in projects with the Government of India and four Indian state governments that use randomized control trials to test innovative ways to improve the functioning of environmental regulations and increase energy access. Greenstone also has extensive policy experience. He served as the Chief Economist for President Obama’s Council of Economic Advisers from 2009‐10. In addition, he was the Director of the Hamilton Project at the Brookings Institution, which studies a range of policies to promote broad‐based economic growth from 2010‐2013 and has since joined its Advisory Council.